That's about all I can say "Exhausted!". It is the end of the school year here in Australia and there is lots to get done in the next few weeks! I had camp this week with my lovely bunch of Grade 3's. They were so excited, but after one day, exhausted too! If only that storm hadn't come through and scared them all! I think I finally got to sleep around 4am, only to get up at 6am! The things we do as teachers! 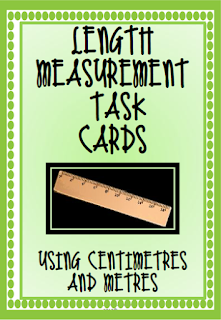 I can't wait to use these Measurement Cards next year. 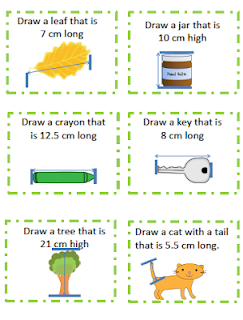 I especially love the relationship between actual items and then draw the length! For US readers, I know some of you learn cm, if not, hopefully Tania makes a inches one soon! Download your own copy here! Edit: Tania is currently working on her inches pack so keep an eye out! I love playing Battleships, so when I saw this pack I just had to buy it! 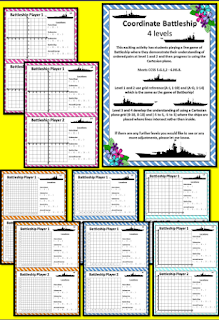 So many different Battleship games are included for different levels of children. They are very professional looking! Download your own copy here! 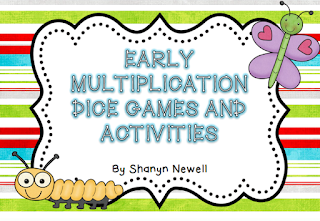 I am always looking for new ideas for teaching Multiplication so couldn't wait to download this packet. So many different games that I had never played! Download your own copy here! 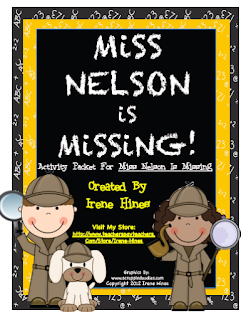 I LOVE the book Miss Nelson is Missing. This pack looks fabulous, I can't wait to use it next year when school starts. Download your own copy here! Thanks Tania! I will edit my post now!